IDFC Institute hosted a Conversation with Harish Narasappa on his book "Rule of Law in India: A Quest for Reason", on 25thSeptember 2018. The discussion was moderated by Somasekhar Sundaresan, Independent Legal Counsel. Harish Narasappa is co-founder of Daksh, an organisation that undertakes research to promote accountability and better governance in India. 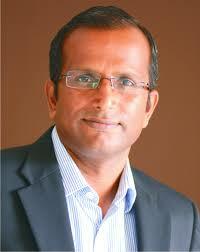 He is a lawyer and founding partner, Samvad Partners, a leading pan-India law firm. The event began with a discussion between the author and moderator on the key issues covered in the book, followed by a Q&A with the audience. The book examines the rule of law in India, the values and aspirations that shaped its evolution, and its meaning as understood by various institutions.It evaluates the obvious dichotomy that exists between theory and practice in India's rule of law structure and argues that, above all, rule of law in India is a quest for reason at the core of the Indian Constitution and its institutions. In Narasappa’s view, the hallmark of the judiciary as opposed to the executive is fairness. But judicial delay affects fairness and delayed justice is no justice. He said that the longer it takes to declare an act legal or illegal, the longer the distinction between the two remains undefined. This poses a significant challenge to the rule of law. He added that the most valuable commodity in the judicial system is a judge’s time, but we are not using this commodity efficiently or effectively. Responding to a question about whether it is time to make a law in India about how laws must be made, the author said that another law is probably not the answer. What is lacking in India is reasoned debate about laws, and a law cannot force Parliament to have that debate. He further said that in India, rule of law is associated with the judiciary, but it is also the responsibility of the political leadership and executive to allow the rule of law and its spirit to flourish in Parliament. In the Indian context, once a law is passed the legislature has significant discretion to not only decide who the law applies to but also when it will get passed. This, in Narasappa’s view creates enormous uncertainty for citizens in assessing what is legal and illegal. In contrast, it is the duty of the legislature, as representative of citizens, to review laws that aren’t in consonance with prevailing morality, but this burden, however, falls on the judiciary. Harish Narasappa is co-founder, DAKSH, an organisation that undertakes research to promote accountability and better governance in India. 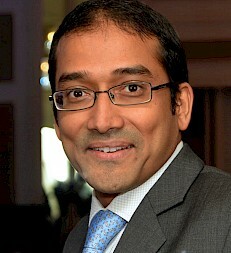 He is a lawyer and founding partner, Samvad Partners, a leading pan-India law firm. He is also a member of Karnataka Election Watch and National Election Watch. He has a Phd and a BA LLB from National Law School of India University, Bengaluru, a BA (Philosophy) from University of London and a BCL from University of Oxford, where he was a Radhakrishnan Scholar. Somasekhar Sundaresan is an Advocate practising as independent legal counsel with focus on corporate, securities, antitrust and financial sector regulatory practice, across forums. He is actively involved in Indian public policy initiatives and regulatory development with participation ranging from being a consultant to the Financial Sector Legislative Reform Commission to writing regulations on insider trading, takeovers, corporate governance and foreign capital flows. He writes a fortnightly column titled Without Contempt in Business Standard.